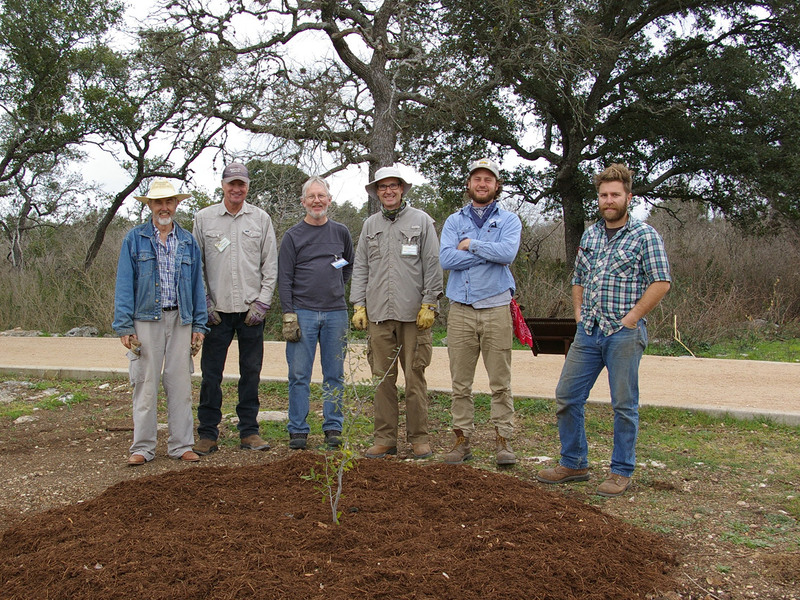 The 16-acre Mollie Steves Zachry Texas Arboretum is a classic arboretum featuring a diversity of Texas trees, from bigtooth maples and Texas madrones to pecans and live oaks. An approximately 1-mile looping path meanders through meadows of native grasses and wildflowers and connects visitors with groupings of trees. Opened in 2011, the Arboretum is a “lifetime project” that serves as a resource for tree identification, field trips, outdoor classes and tree-related events. Texas history comes alive through this collection of historically significant trees from across the state. Oak trees are often identified with historic places and events because of their iconic nature and long life, and Texas has plenty of storied oaks. The Wildflower Center harvested acorns from many of these living legends and gave them a place of honor in our Hall of Texas Heroes. Planted in 2016, these trees will continue to grow with the Wildflower Center. Visitors will have the unique opportunity to return throughout the years and witness their maturation from saplings to established oaks. Future generations will be able to stand beneath the great canopies and learn about the historical roots underfoot. What trees are growing in the Arboretum?